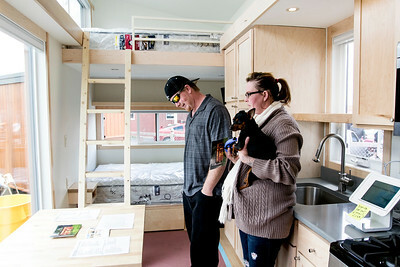 Sarah Nader - snader@shawmedia.com Josh Bays (left) of Austin, Texas and his wife, Lourie Bays, check out the inside of an Escape Traveler tiny house during an open house to see Kathryn Kresic's tiny home Saturday, May 6, 2017 in Gilberts. Sarah Nader - snader@shawmedia.com Kathryn Kresic of Huntley walks out of her ESCAPE Vista tiny house while holding an open house for people to see her home Saturday, May 6, 2017 in Gilberts. 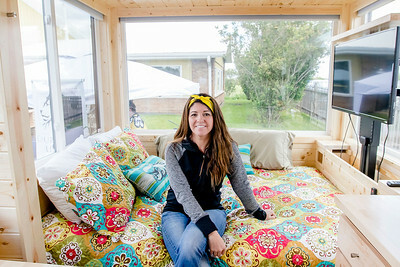 Kresic plans to travel for the next several months or up to a year in her 176 square foot tiny house. Sarah Nader - snader@shawmedia.com Kathryn Kresic of Huntley poses for a portrait in her ESCAPE Vista tiny house while holding an open house for people to see her home Saturday, May 6, 2017 in Gilberts. Kresic plans to travel for the next several months or up to a year in her 176 square foot tiny house. Sarah Nader - snader@shawmedia.com Rich Landwehr of Huntley looks at cars while attending the Gilberts Cruisin cruise event Saturday, May 6, 2017. 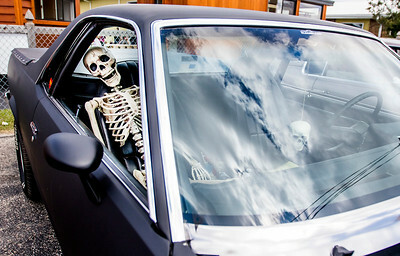 Sarah Nader - snader@shawmedia.com A skeleton watches over a car at the Gilberts Cruisin cruise event Saturday, May 6, 2017. 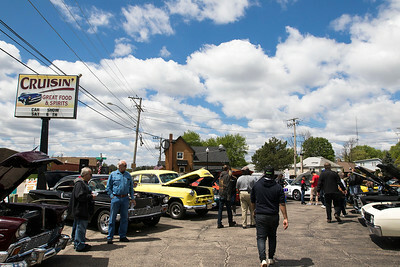 Sarah Nader - snader@shawmedia.com Car enthusiasts walk around during the Gilberts Cruisin cruise event Saturday, May 6, 2017. Sarah Nader - snader@shawmedia.com Kenton Yokers of East Dundee looks at cars while attending the Gilberts Cruisin cruise event Saturday, May 6, 2017. 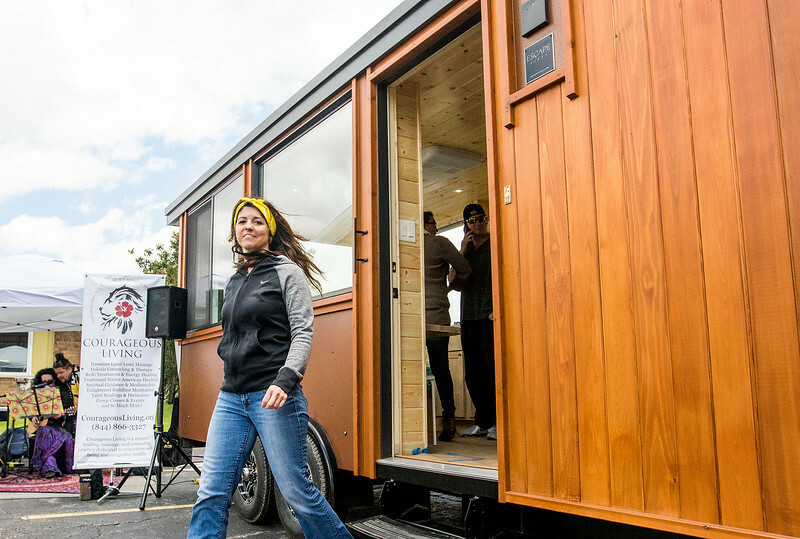 Kathryn Kresic of Huntley walks out of her ESCAPE Vista tiny house while holding an open house for people to see her home Saturday, May 6, 2017 in Gilberts. 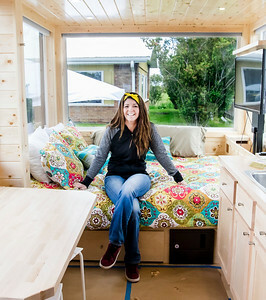 Kresic plans to travel for the next several months or up to a year in her 176 square foot tiny house.